TOWCESTER TAXI AIRPORT TRANSFERS 01908 263263 RELIABLE ROAD TAXI TRANSPORT: TfLTPH Says You Can Fly Your Flag During The World Cup. TfLTPH Says You Can Fly Your Flag During The World Cup. There’s been a lot of news, most hyped up PR or fake, about whether or not we can fly the fag of any particular country, (including the St George Cross) on our Taxis during the World Cup. This was the headline in yesterday’s Daily Mail. 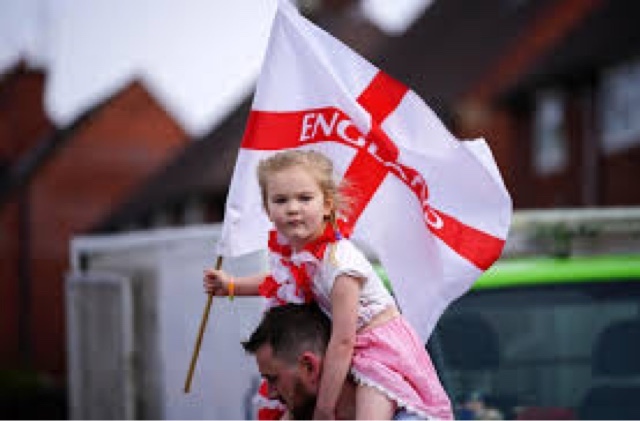 "Now taxi drivers are told they can't display England flags during World Cup as council joins Royal Mail in banning them amid fears they could distract other motorists". We asked TfL for an update on this issue and have now received clear and concise information. You can. Just make sure that it is secure, doesn't obstruct the windscreen or windows and is not in the passenger area. Flags must be secure, and not obstruct the windscreen or windows. They must not be in the passenger area. 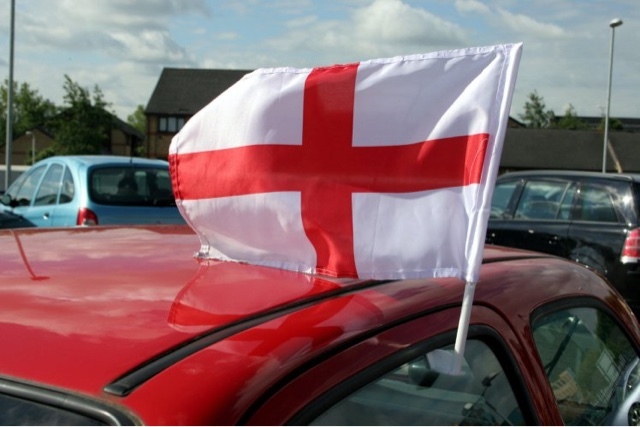 So... as long as it’s secure and doesn’t obstruct the windows and is not physically in the passenger compartment, you can display the flag of St George on your Taxi. But we must stress this is London's regulator TfL. 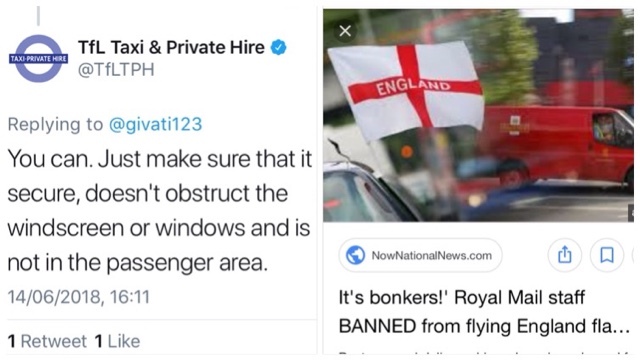 There are one or two councils around the UK that have banned the flag of St George on Taxis and Private Hire vehicles.